DC has the highest rate of 911 calls in the U.S., and 1 in 4 of those calls is not an actual emergency — instead, it’s a twisted ankle, or a cough or a rash. The new triage program aims to improve those numbers by diverting needs that aren’t urgent to medical care that doesn’t involve an ambulance or an emergency room. That’s no small consideration these days, public safety and health officials note. Emergency response is expensive, as is urgent transportation. Patients across the country have been exasperated to learn how few insurers cover what can be a giant cost for an ambulance to ferry them small distances. Ambulance services fire back that it’s not cheap to operate 24/7 with specially trained staff and specialized vehicles laden with emergency medical equipment. It’s worth emphasizing that patients headed into ERs get some of the most costly medical care around. These facilities are staffed around the clock with doctors and nurses, who must have the high training and abundant equipment to respond to catastrophic circumstance – these days not only for individuals but potentially for sizable groups, too. So, here’s another confounding part of the NPR report – District officials’ explanations of why patients call 911, a lifesaving, emergency medical service, when their needs aren’t dire. It turns out that not only do too many Washingtonians struggle to afford and find medical care, they also get frustrated about how to get to it. Under District officials’ new system, triage nurses working with 911 dispatchers will try to help callers with medical concerns find appropriate care, and possibly get them to it with help through ride-sharing services like Uber and Lyft. With those services burgeoning and ambulance costs soaring, many patients ─ besides 911 callers ─ as well as hospitals and doctors have been making Lyft and Uber their go-to option as medical shuttles. The firms’ drivers’ all aren’t keen about this, and it is raising growing concerns about liability and appropriateness. In my practice, I see not only the major harms that patients suffer while seeking medical services but also their huge struggles to access and afford safe, effective, and excellent medical care. 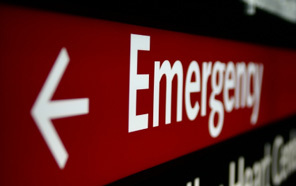 Proponents of the Affordable Care Act, aka Obamacare, had expressed the hope that covering more Americans with health insurance would cut down on use of costly ER care. It hasn’t accomplished that, or it has registered only modest effect, studies show. At the same time, tens of millions with ACA coverage know that, if they need emergency care, it has less chance of destroying their family finances. A key take-away from Washington’s 911 experiment may be that, mired in partisan battling just over health insurance, the nation has far to go to address major social determinants that undercut Americans’ well-being, including transportation. It doesn’t do the poor, sick, aged, and young and their families a whit of good for Washington to have many big, fancy hospitals and doctors’ offices, if, for example, those with chronic illness can’t get regular care because it’s too far, and too costly or inconvenient to get to. This is true across the country, and affects 911 systems in cities big and small. Yes, sadly, law enforcement and safety agencies get too many prank and inappropriate 911 calls in defiance of common sense, decency, and even legality. While condemning abuses of the system, all of us also need to ask what we and Big Medicine need to do, so we don’t turn a deaf ear to a big number of people in our area who clearly are in need and so at wit’s end that an emergency line even seems an option.